We try to keep these pages as up to date as possible, but typos are inevitable, especially immediately following new releases. 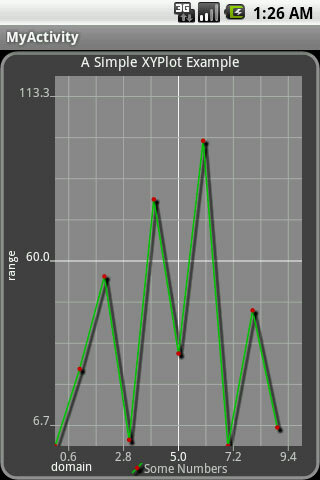 If you spot an error, please let us know either in the forums or shoot an email tooops@androidplot.com. Thanks! AndroidPlot diverges from the classic box model in one key area; borders don’t live in their own layer as shown above. 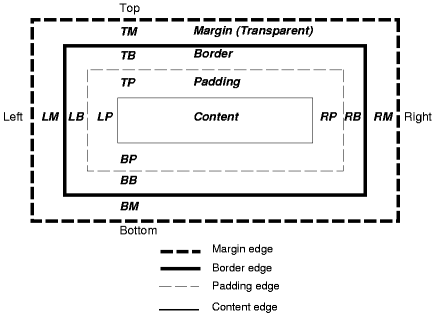 Instead, they overlap the margin and padding sections evenly; if you had a border of 3 pixels, 1.5 pixels of the border would be drawn on the inner border of the margin layer and 1.5 pixels of the border would also be drawn on the outer border of the padding layer. 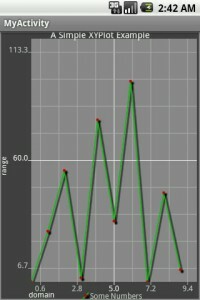 Figure 2: An XYPlot with markup disabled. Figure 3: An XYPlot with markup enabled. 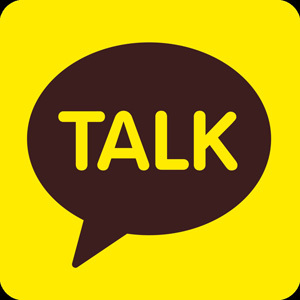 You will notice that there are now some green lines and squares as well as some blue and yellow borders. 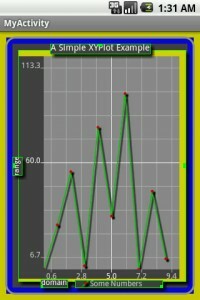 The green lines represent widgets positioned within the plot, the tiny green squares represent their points of origin, the yellow fill represents a margin and the blue fill represents padding. 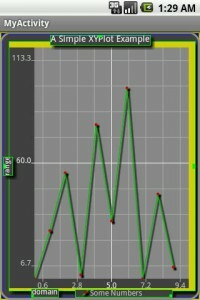 You can just barely see the margin and padding along the outer edge of the plot; by default both are set to 3px on all four sides. You will also notice a fairly thick margin on the top, left and bottom of the graph section of the plot. 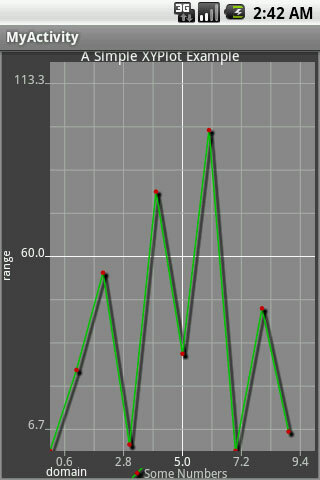 This is the padding applied to the graph “widget”. Widgets are sub-components positioned inside of the plot area. 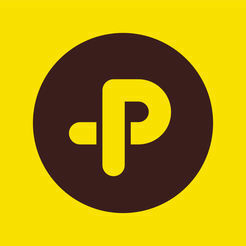 Each has it’s own box model associated with it which is visible in markup mode. Most widgets have a margin and padding of 0. Figure 4: An XYPlot with markup enabled and 10px padding/border. Now it’s a little easier to see our plot’s margins and padding. 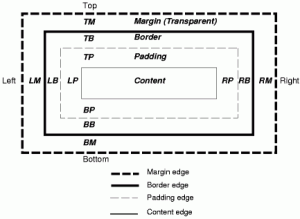 Notice how the border overlaps the inner edge of the margin layer and the outer edge of the padding layer. As mentioned above, this is the major divergence from the classic box model. This will probably change some time in the future but for now that’s how it is. Next, let’s try to get rid of as much of the margins and padding as possible to maximize our graph area. Figure 5: A more space efficient XYPlot.